The Asmodus Pumper 21 Squonk Mod has an 80 watt maximum output and can be powered by either a single 21700 or 20700 battery cell (sold separately). 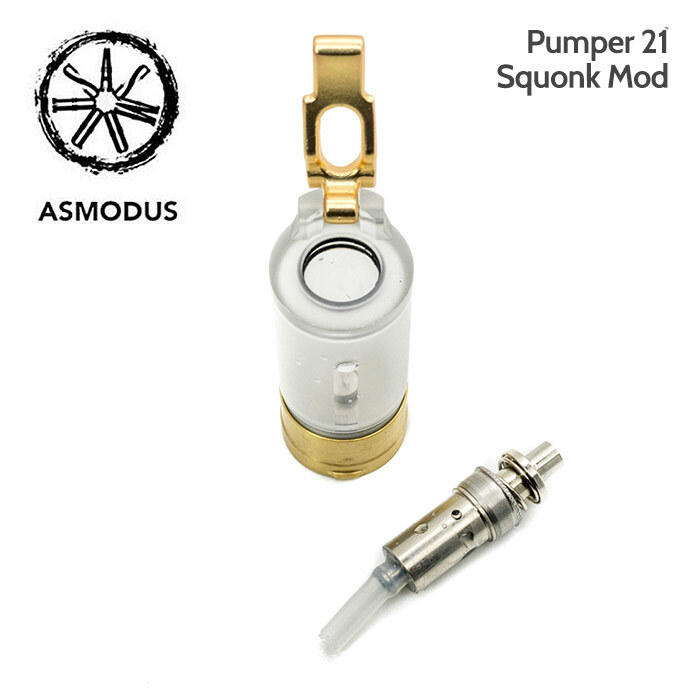 The Pumper 21 is designed to be used with a bottom feeding Squonk RDA. WARNING: This vape device is Semi-Regulated and intended for advanced users only. Power from your battery runs through the device and directly into your RDA. 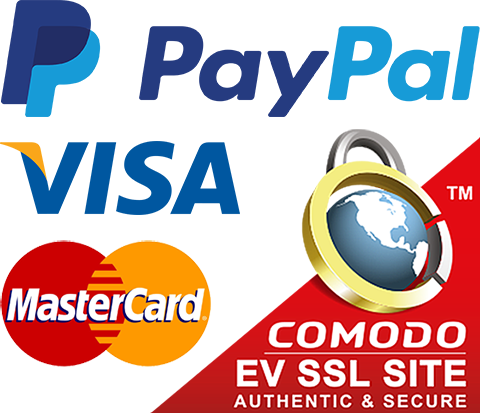 Experience and thorough understanding of vape battery management and safety, Ohm’s law and vaping in general is required to use this device correctly. Not for intermediates and novices. 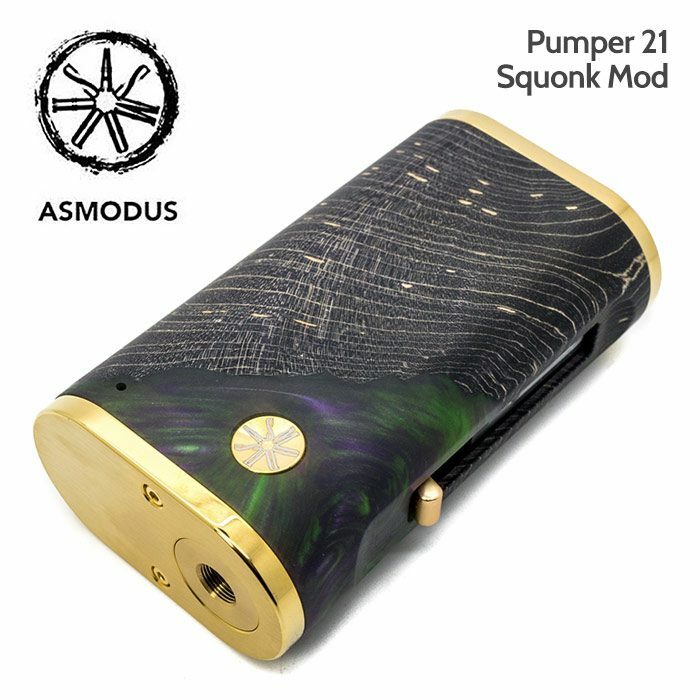 The Asmodus Pumper 21 Squonk Mod is a single battery mod that is an adaptation of the Asmodus Luna and Spruzza. 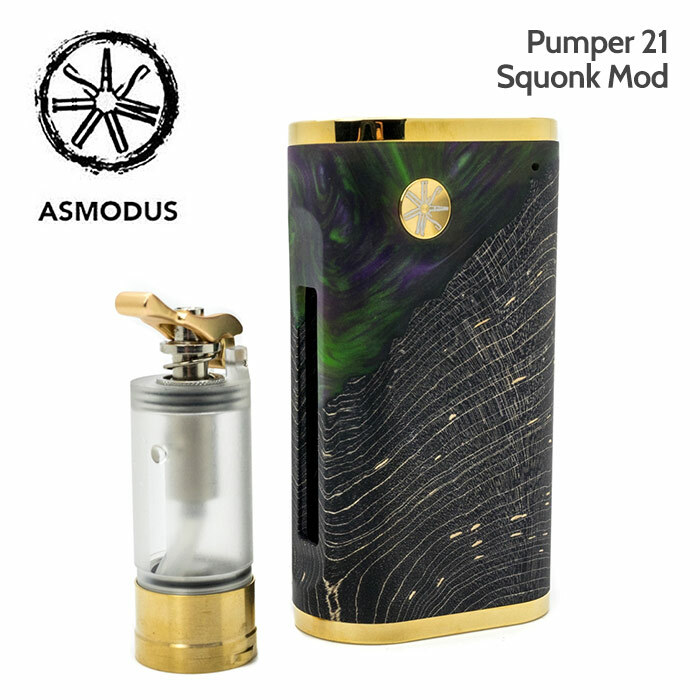 The body resembles the Luna and the squonk bottle is derived from the Spruzza. With a ergonomic rounded body the Pumper is more comfortable to fire with the thumb or pointer finger! It is constructed of gold-plated high grade stainless steel and a luxurious stabilized wood. 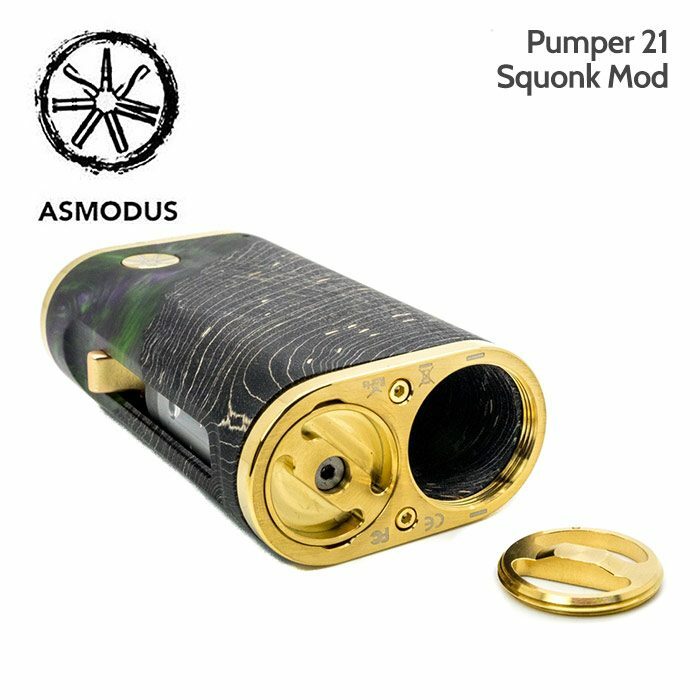 The fire button has the ASMODUS wheel logo and is recessed to stop accidental firing. The 8ml capacity Squonk bottle is constructed of high grade 304 stainless steel top and bottom. The bottle can be removed simply by pushing in the bottle and twisting it to unlock the door. The bottle can be refilled by removing the tube held by 2 O rings. The Pumper retains the protective features that the Luna had. This includes: Negative Polarity;the LED will flash green when you install the battery correctly, the LED will not flash if installed incorrectly. 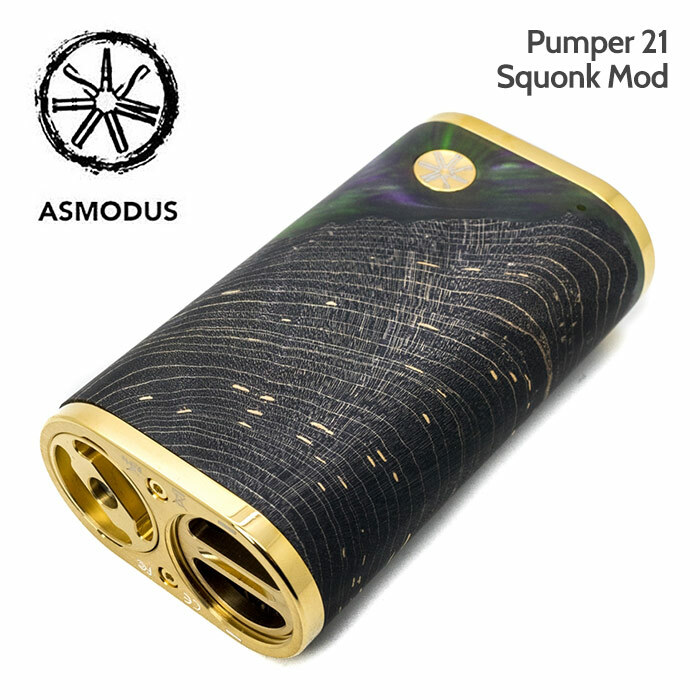 Low Voltage Protection; When the user’s battery hits 3.3v the mod will shut off, protecting the mod, battery health and most importantly, the user;the LED will flash RED five times indicating your battery is at 3.3v. Work Overtime; The mod will automatically shut off when firing the mod for over 10 seconds to prevent any auto-firing moments. Atomizer short Protection; The LED will flash red if the Luna detects a short in the user’s atty. Overheat Protection; When the Luna Squonker mod reaches over 85 degrees, the mod will shut off automatically to prevent any accidents. 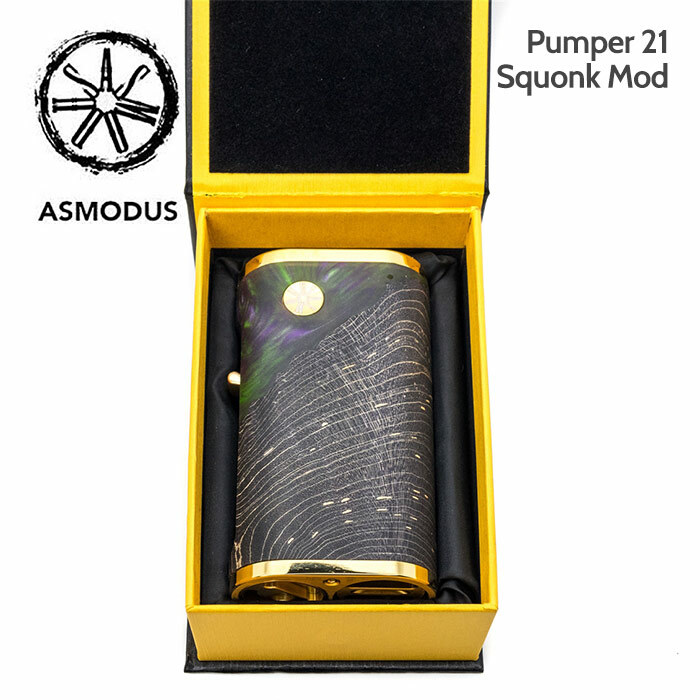 IMPORTANT: Due to the nature of the stabilised wood and the multi-coloured resin used in the Asmodus Pumper 21 Squonk Mod the colours and pattern of the item you receive will vary from the photos listed. Photos are just a guide.